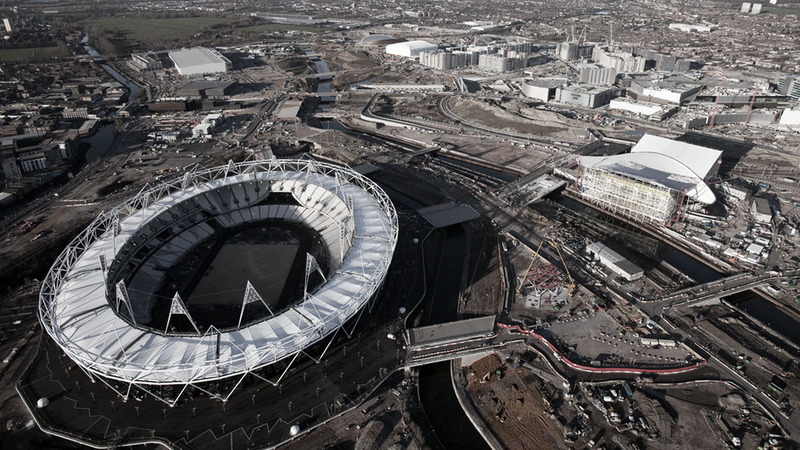 As London readies itself for the 2012 Olympics, the city is slowing coming to terms with the actual impact the games are having on its urban landscape. Projects in and around the city are transforming London into one big construction site, from improvement works in the Tube to a planned cable car system across the River Thames. 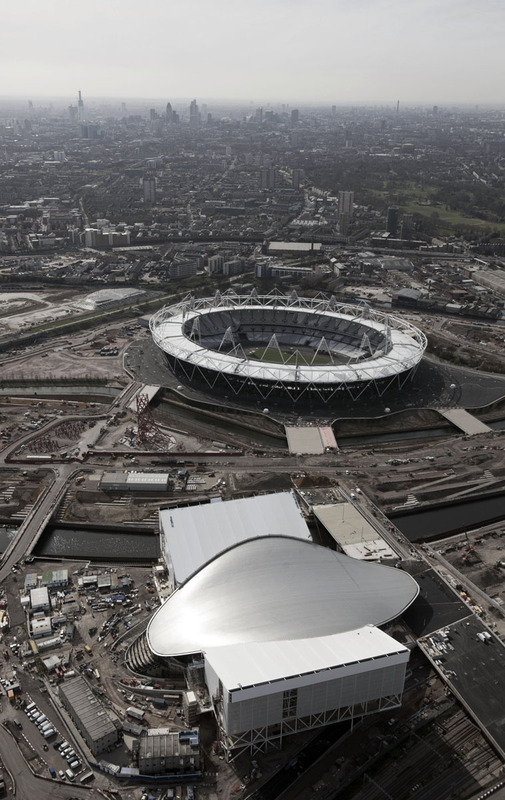 These projects, however, are small compared to the actual construction happening at the Olympic Park in Stratford itself. 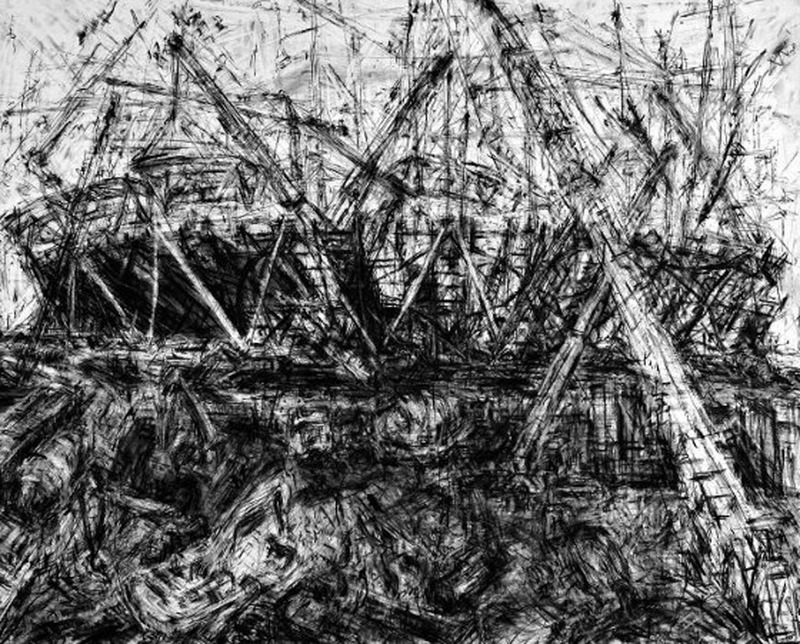 Reacting to the changes taking place within London, artist Jeanette Barnes is responding to the transformation through the medium of charcoal on paper. 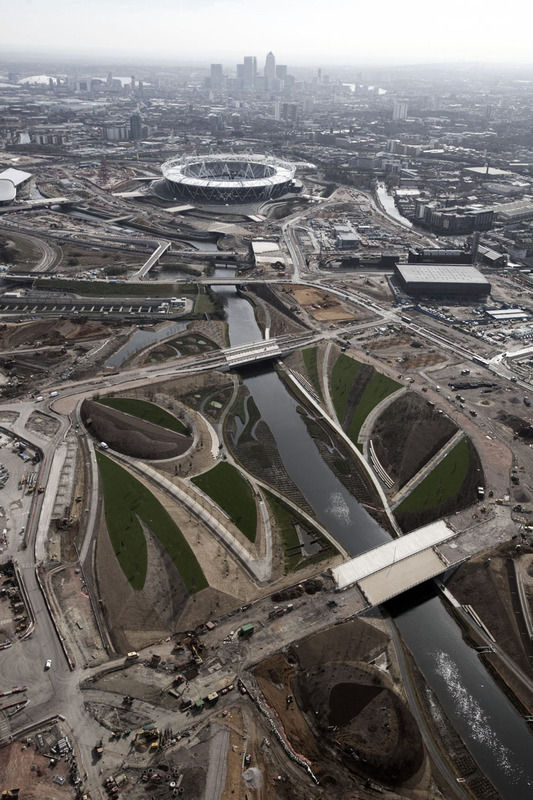 Two of her most recent projects focus on the changes taking place within the Olympic Park, recording the construction process through specific vantage points. The way Barnes works records the process rather than a single moment in time. Her art involves her going over the same piece of work over and over as the construction progresses, thus superimposing layers of activity atop one another. The minute detail which she works in at every stage is blurred, instead giving way to broad overviews of the construction. 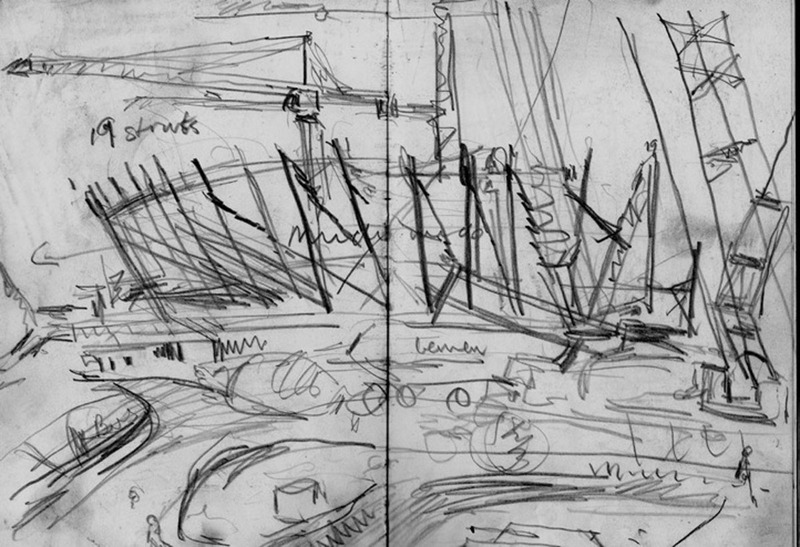 Defining gestures of the construction site such as the huge triangular supports around the perimeter of the Olympic Stadium dominate the sketch, with dark linear strokes against the whiteness of the sky suggestive of construction cranes operating over the site. There is a lack of human presence within the work of Barnes, possibly due to the nature of the way she works. Instead, the energy and dynamicism of the work is conveyed through the contrast between the light and darkness, the curve and the lienar, as well as the sheer scale between the architecture and its surrounding. Much of what is seen in the sketches are implied rather than actually shown, yet the sense of movement it creates is strongly suggestive of the turmoil that one would expect from a construction of this scale. 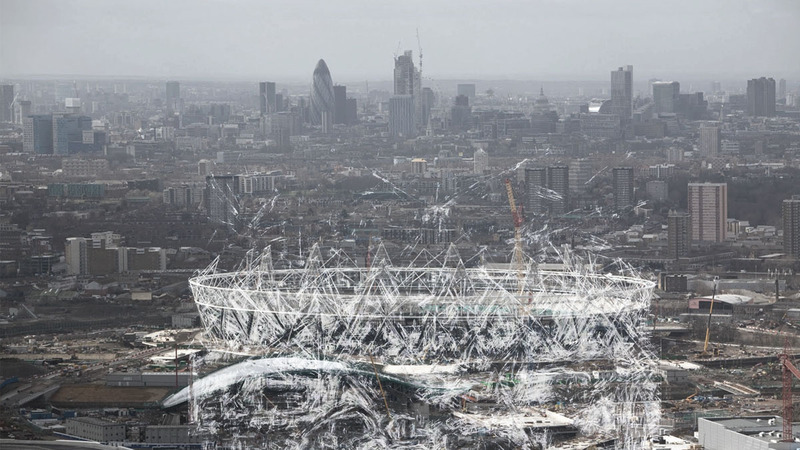 Looking at Barnes’ work on the London Olympics site, there is an almost Piranesian quality to the work. The energy and excitement approaches a sublime quality reminiscent of Carceri d’invenzione, creating a sense of intimidation through scale, the unexpected and the unseen. As in Le Carceri, in which cables are pulled back, bridges are half-drawn and chains are suspended in mid-air, so too are the cranes, the machinery and even the architecture itself in Barnes’ representation. 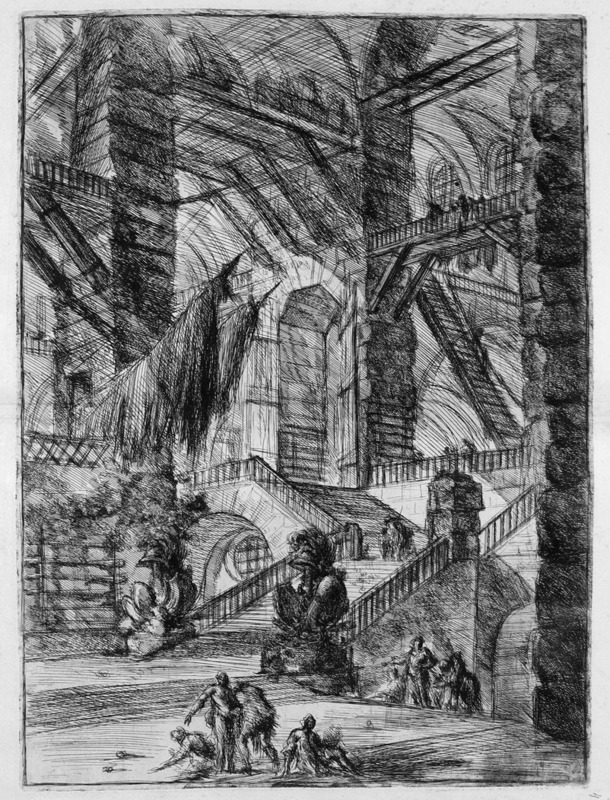 As paper architecture, Piranesi’s etchings of Le Carceri intimidate through its sense of empowerment. There is a mood of confinement, of never being able to get out from the maze of the interior. 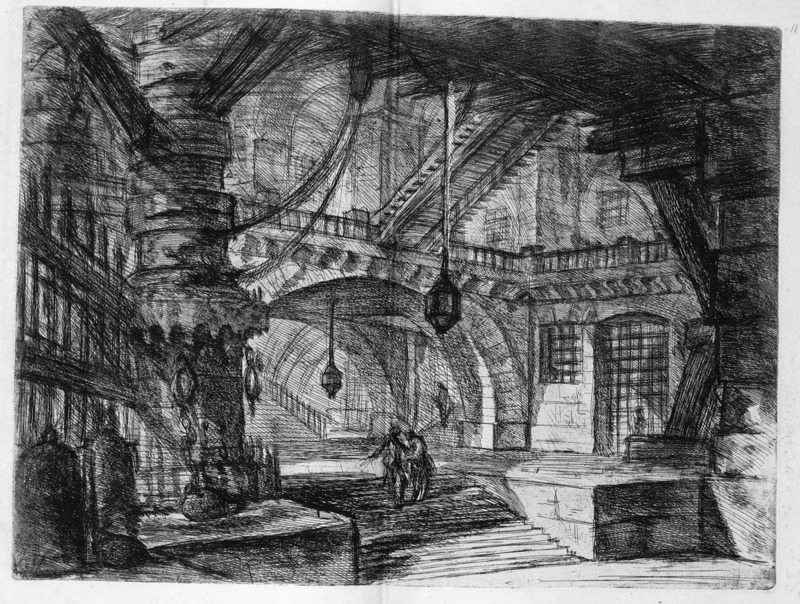 In fact, by ways of perspective, it could even be argued that what is shown in Piranesi’s work is not even interior, but all located on the outside. 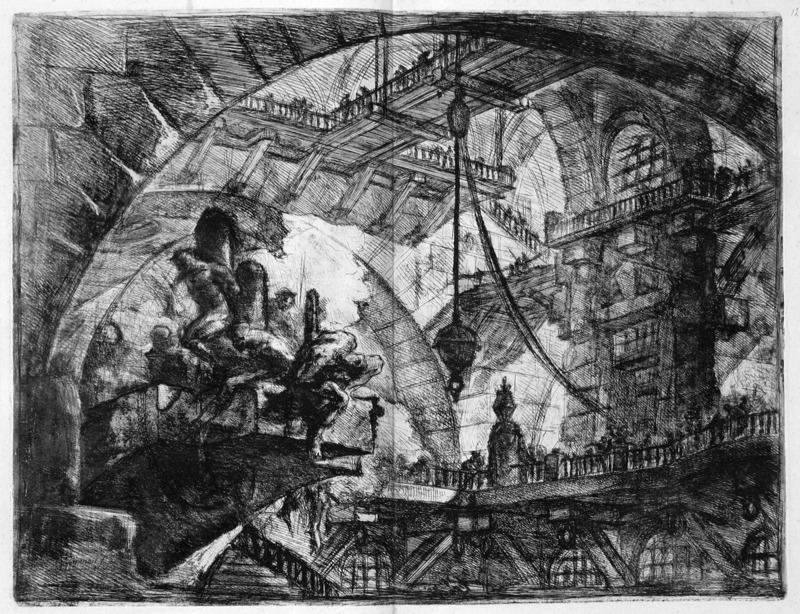 Barnes’ works are not conventional paper architecture; they capture actual buildings in the process of their construction, yet the building becomes only a secondary element in the sketches. 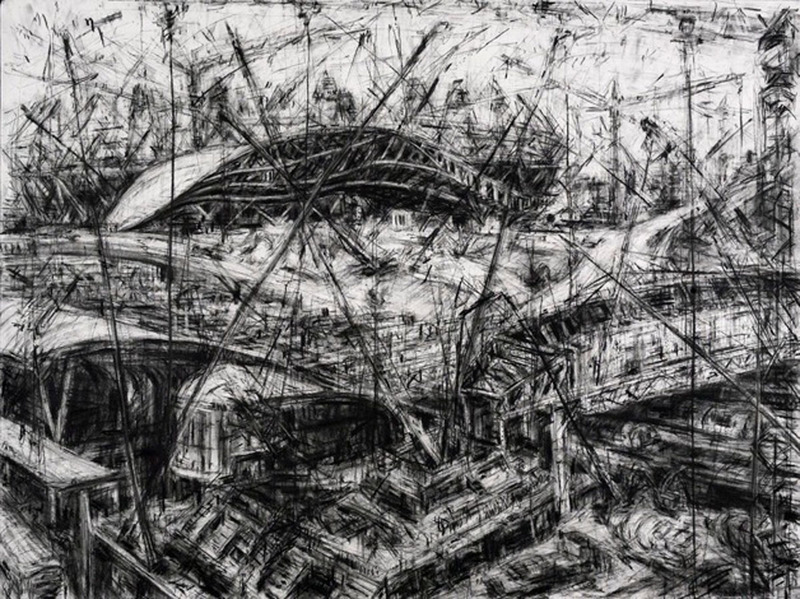 It is the activity, the transformation, and the process which makes Barnes’ art interesting and it is this capturing of motion and dynamicism which speaks most about the effect of London’s transformation. 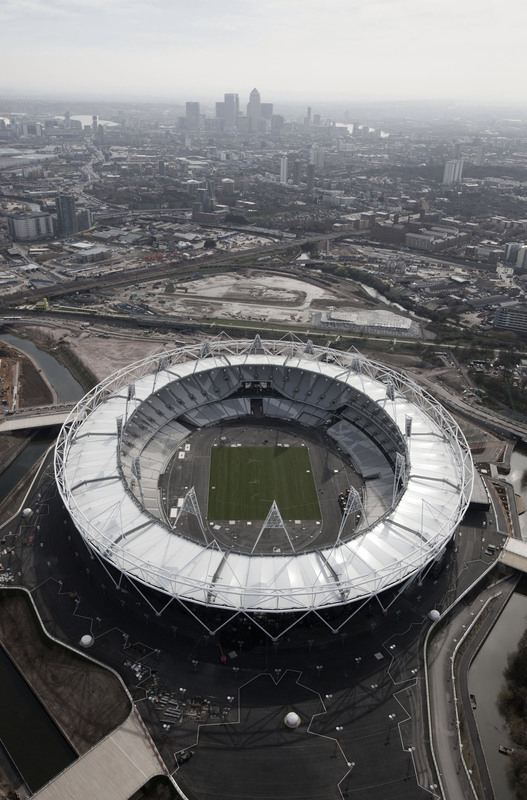 Perhaps the architecture of the Olympics lend themselves brilliantly to the sense of the sublime. 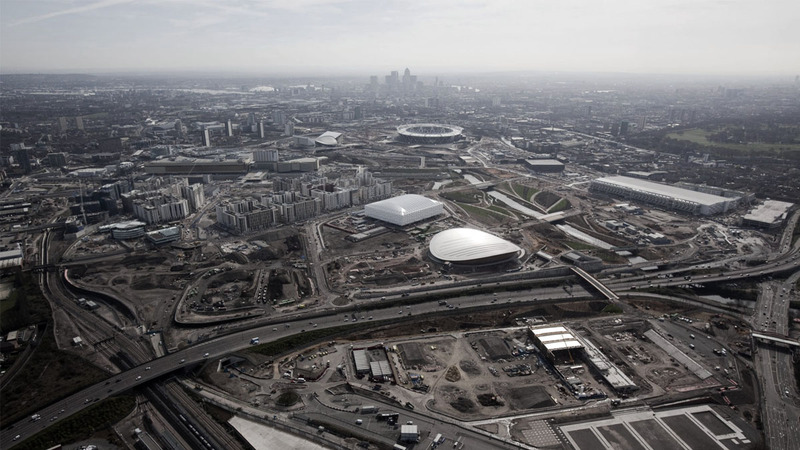 With their strong gestures and their imposing scale, the buildings of the London games represent a grand order by which the city is transforming itself. What we see then in Barnes’ art is perhaps a whimsical hint of London’s transformation. Faced with the sudden transformation of Stratford into a giant construction site, the whole process is by all means an intimidating transaction. Barnes’ sketches represent a reaction towards the change gripping London at the moment, and in its process, recalls the scale of the sublime. BARNES, Jeanette. London Olympics. http://www.jeanettebarnesart.com/HOME.html. Accessed June 13th 2011. SkyscraperPage Forum. London’s Stadiums + Arenas. http://forum.skyscraperpage.com/showthread.php?t=69590&page=12. Accessed June 12th 2011. ABRAHAMS, Tim. “Jeanette Barnes – London Sites”, Blueprint. June 11, 2010. London. JONES, Jonathan. “No way out”, The Guardian. November 6th 2002. Leyden University. 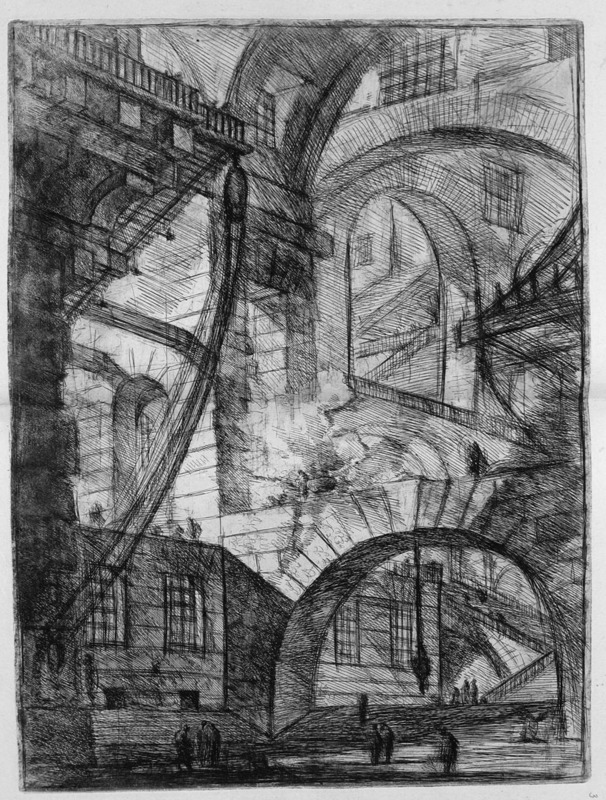 Piranesi – I carceri. http://www.let.leidenuniv.nl/Dutch/Renaissance/Facsimiles/PiranesiCarceri1750/. Accessed June 13th 2011.